"Wherever we look, there is a wilderness of rocks, deep gorges where the rivers are lost below cliffs and towers and pinnacles, and 10,000 strangely carved forms in every direction, and beyond them, mountains blending with the clouds." 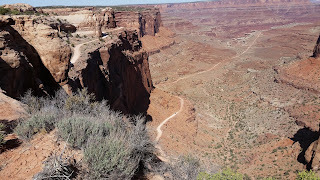 I spent the day in Canyonlands National Park's three districts that cover more than 527 square miles. Today's hikes and drive was in the Island In The Sky district. 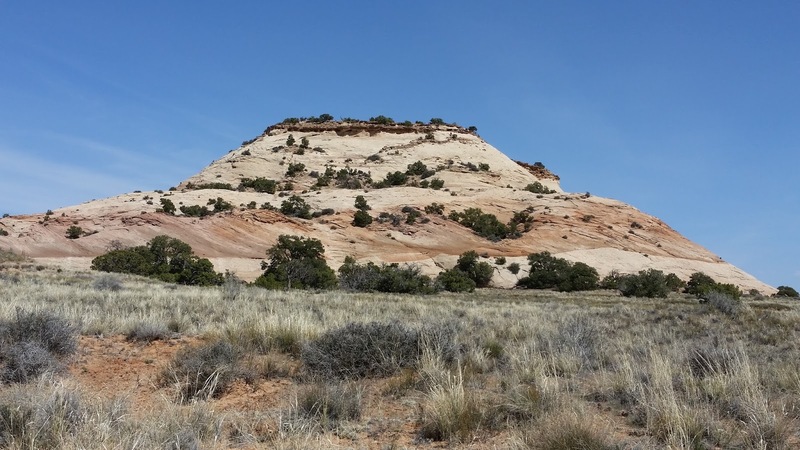 Tomorrow I will see the Needles District before I must report for duty at Dinosaur National Monument. The Maze district adjoins Glen Canyon National Recreation Area and has its own entrance several hours drive away from Moab where I am camped over unimproved dirt roads. I took hike UP Aztec Butte and saw the granaries built by Native Americans. 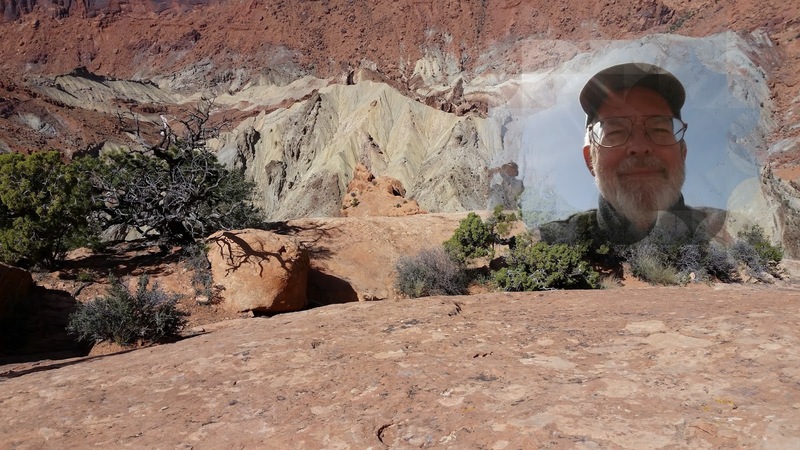 Another short hike was to the rim of Upheaval Dome. Surprisingly I could access Facebook from there on my phone. 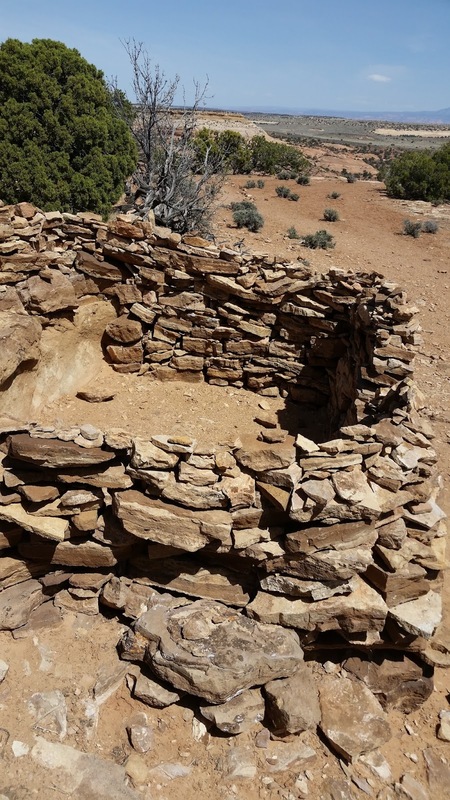 The dome is interesting because two different theories exist to explain its existence. It was either formed from a huge salt dome that collapsed or an asteroid hit the spot and did its little annihilation thingy leaving a 500 foot deep crater. 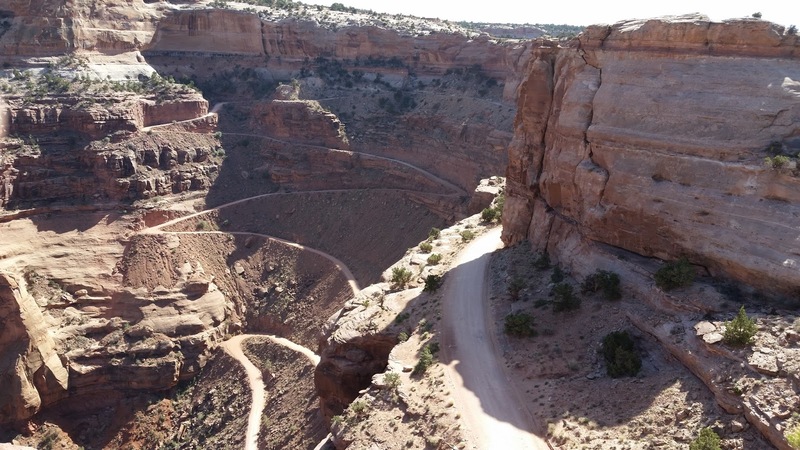 The other two best panorama views in this district are 1) the Grandview Overlook that shows the Colorado River 1500 feet below and three miles to the east, and 2) Shafer Canyon jeep "roadway" hugging the sheer canyon walls. 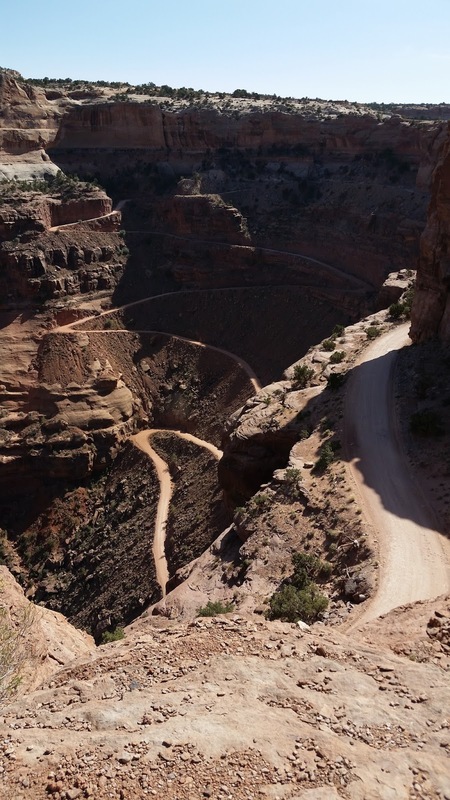 Originally built for sheepherders it was 'quietly' improved enough during WWII to allow uranium mine prospecting trucks to enter the canyon to support the war effort. Today this 42 mile road called the White Rim Road is used as a bike and ATV trail.